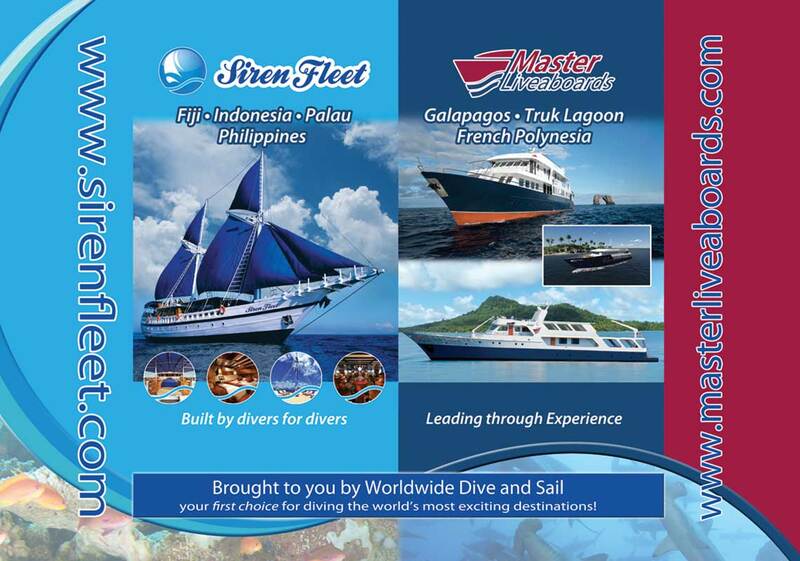 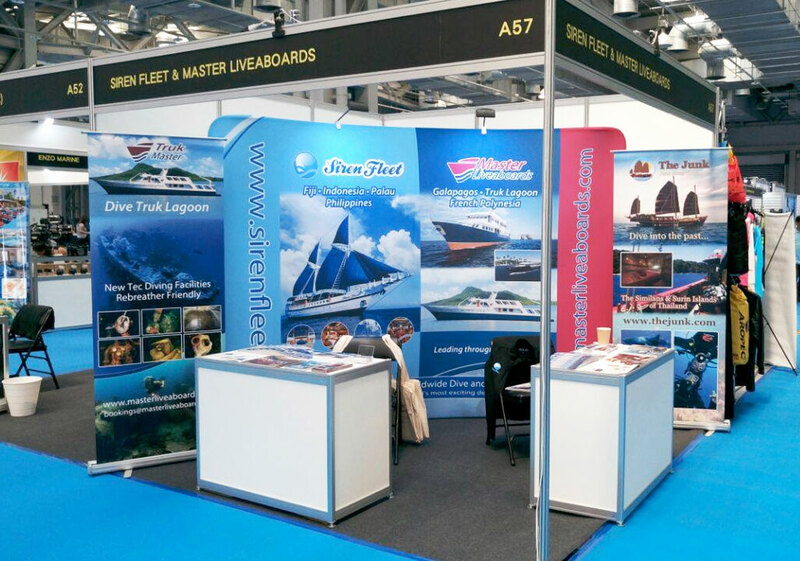 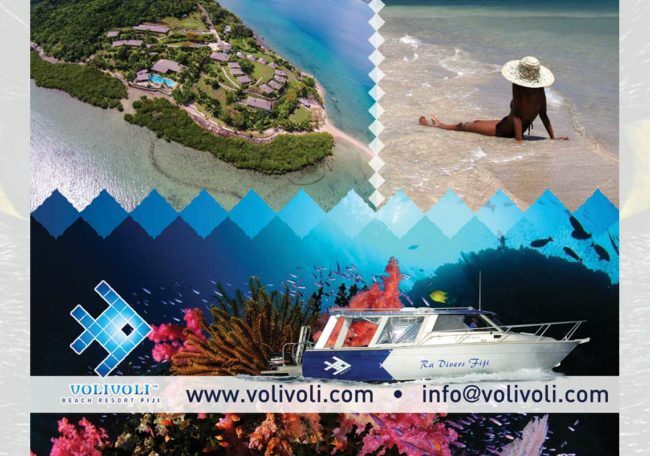 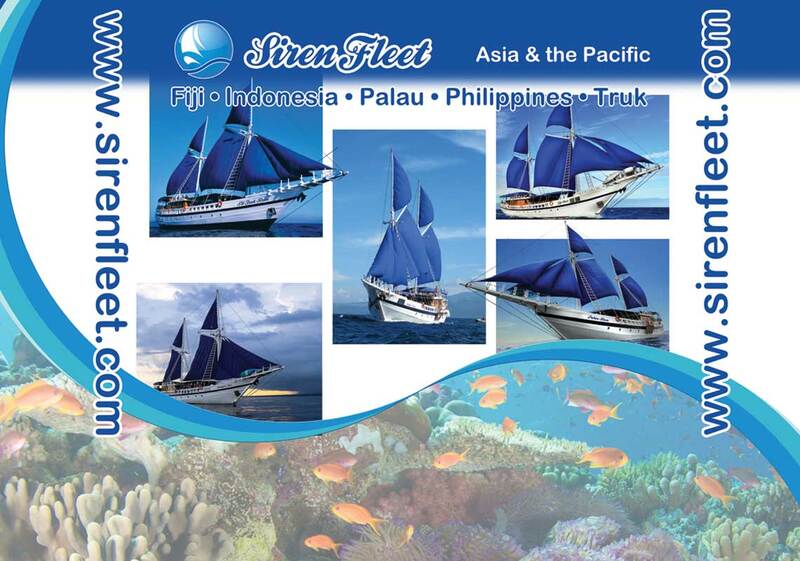 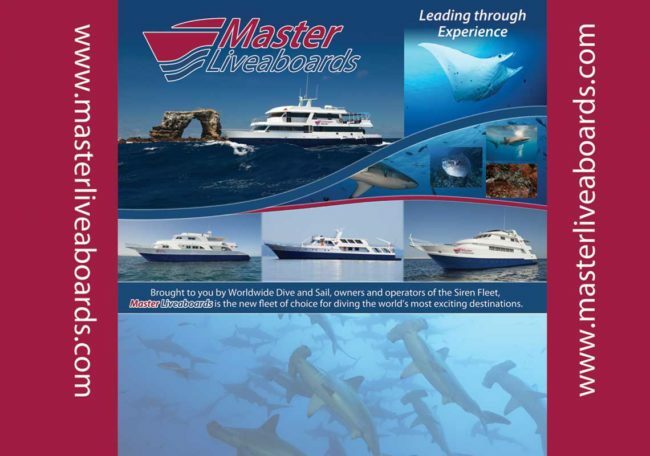 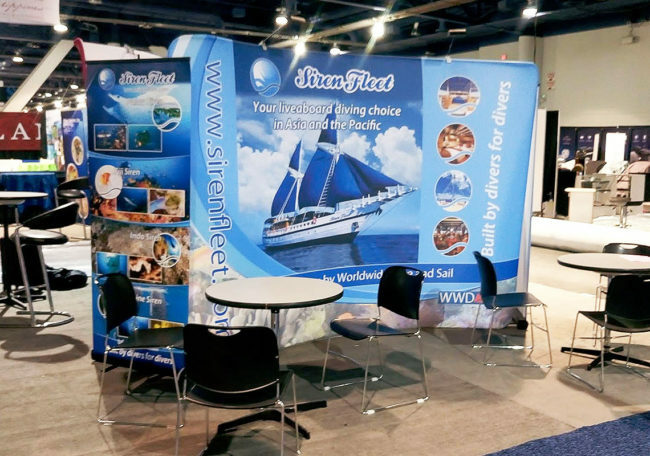 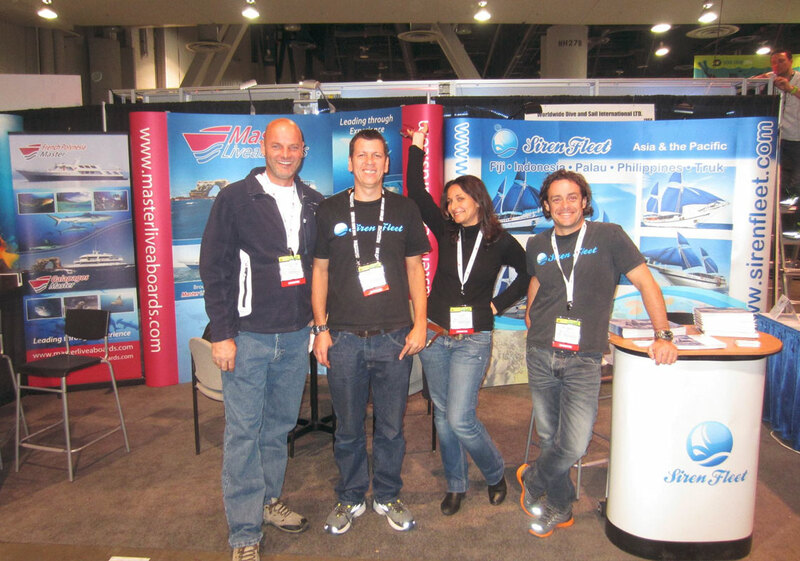 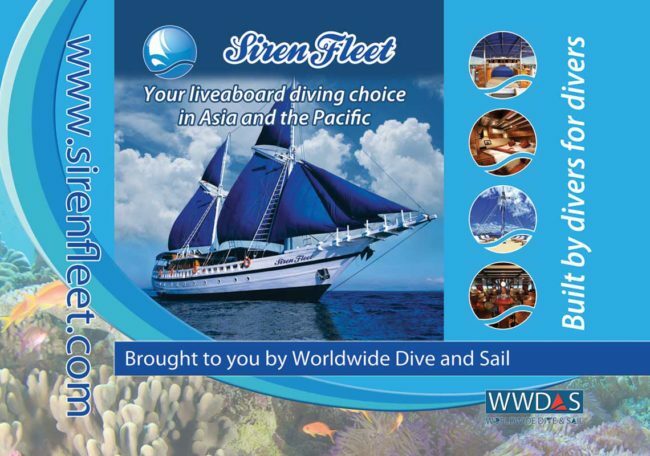 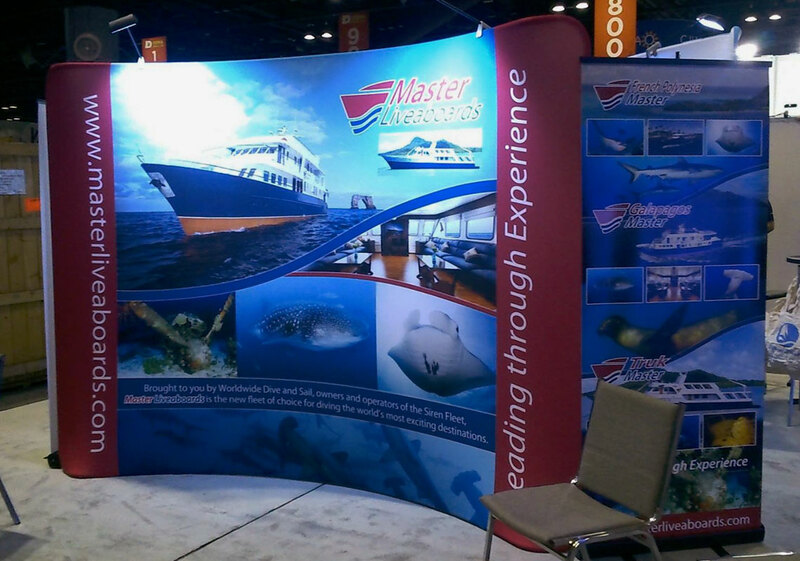 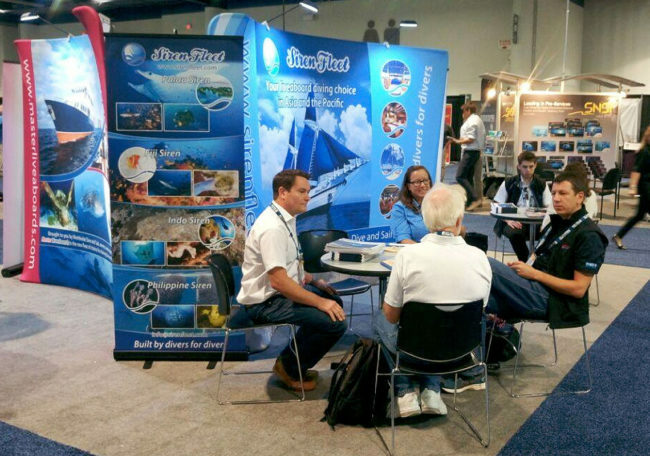 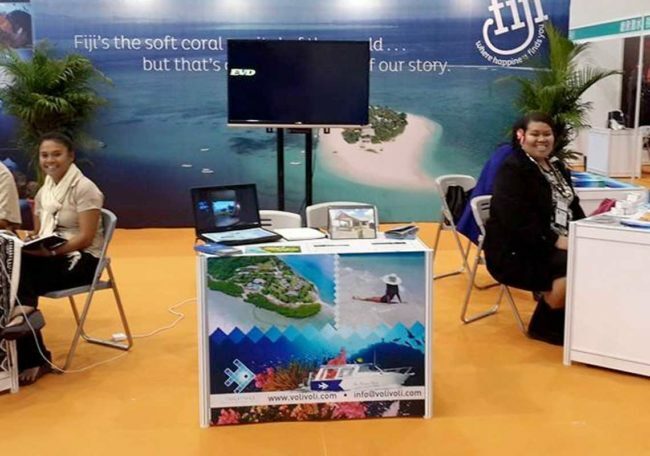 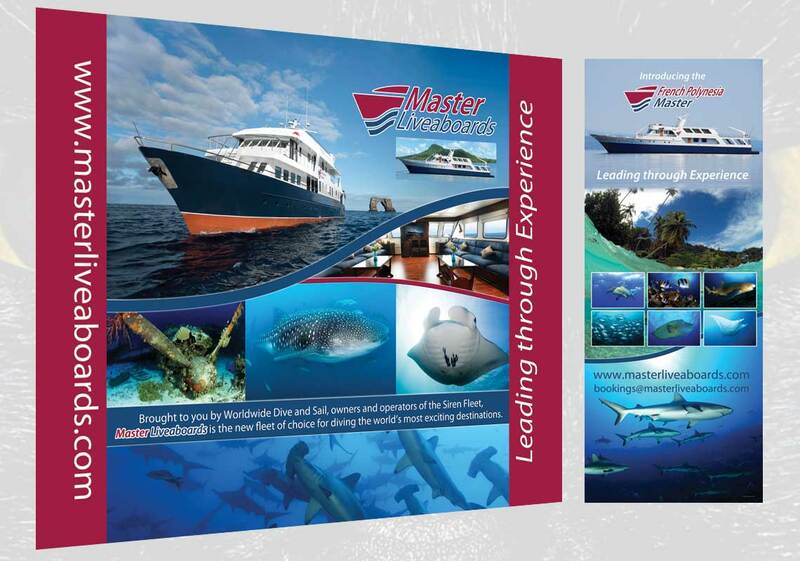 Finflix Design Studio Phuket have been working closely alongside the highly succesful diving liveaboard operators Worldwide Dive & Sail since 2014, producing their trade show exhibition panels along with press and web advertising and associated printwork. 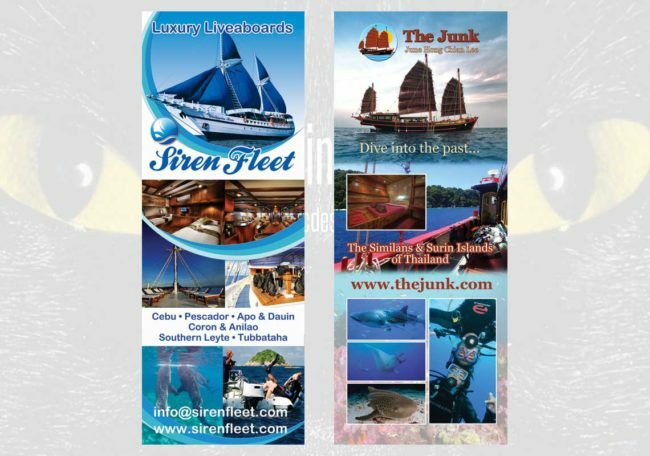 Here you will see a selection of these exhibition panel designs, artwork screenshots as well as photography of the stands in situ. 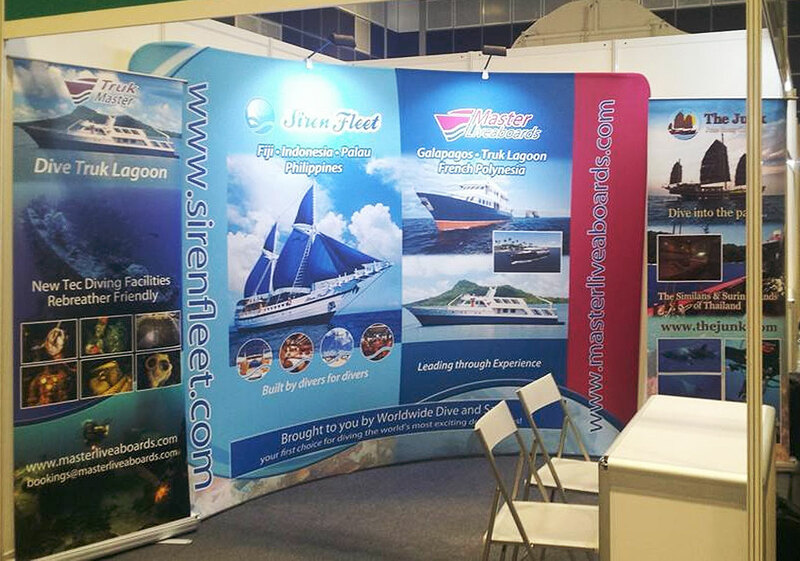 Apologies for the photo quality but, much as we try for an invite, we never get to travel along with our designs… these roll up panels have travelled to Las Vegas, Hong Kong, Singapore and the UK to name but a few destinations! 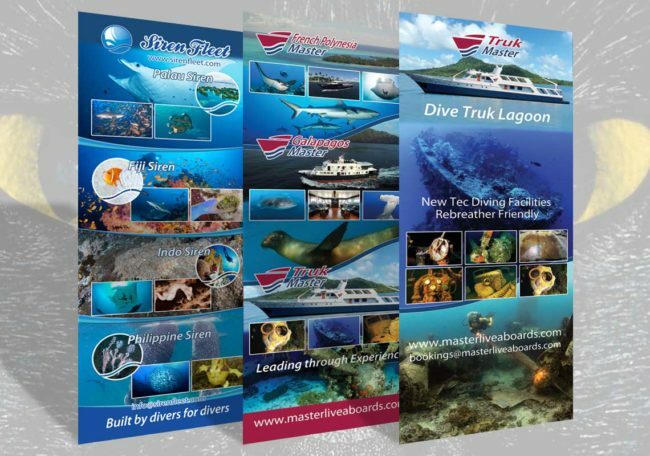 On the technical side these designs have to be produced to strict print guidelines and in very high definition to enable the clients fantastic products to be displayed at their best as well as adhering to the corporate identity built up for each branch of the organisation.